With Stuart sharing his ideas for what to get your Scottie this year, I thought we would share what Pippi will be unwrapping. Tis the season for a new sweatshirt! Been eyeing this one for a few years and happened to get a 50% off coupon for Black Friday. 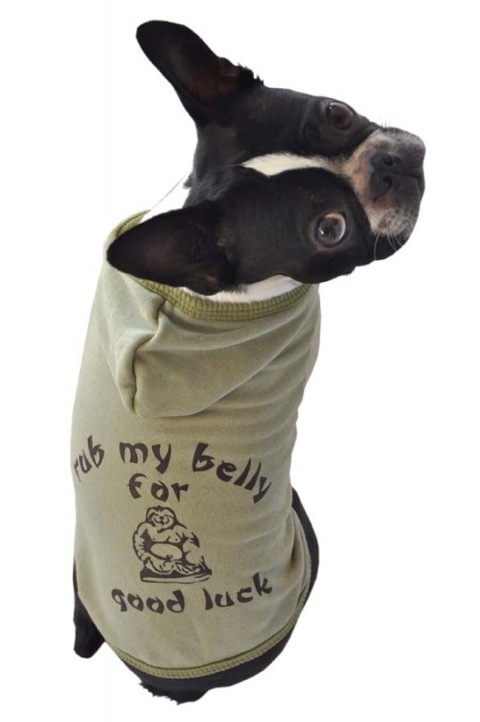 So she will be sporting this fabulous and funny hoodie from Ruff Ruff and Meow, purchased in red. It is just too cute and the perfect item for those wet but not too cold days. Josh still thinks she would rather have a snuggie. This entry was posted in Christmas 2011, Pippi, Scottie Stuff and tagged Scottie, Scottie dog, Scottish terrier. Bookmark the permalink. very cute. can’t wait to see her model it! However, if she’s anything like Jake and Albert, Josh is probably right. Snuggles are the best. We vote for the sweater!